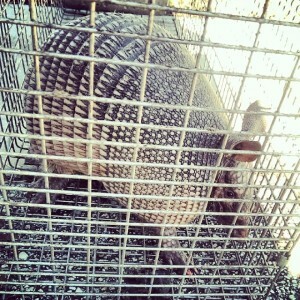 Florida Wildlife Busters are your local experts in Orlando Armadillo Removal. The good news is: regardless of which critters may be causing you distress, Florida Wildlife Busters is capable of quickly determining your problem and effectively solving it. Orlando armadillo removal isn’t easy for anyone, but we are highly experienced and capable of finding the appropriate pathways and picking the correct areas for trap placement to rid your yard of armadillos.